El Segundo, Calif. – January 11, 2018 – GungHo Online Entertainment America, Inc. (GOEA), publishing partner of TURBO Studios, today reveal the European launch date for Super Senso and their exciting intellectual property partnership plans. The epic turn-based strategy game for mobile and tablets is set to receive in-game units from a dazzling array of cultural powerhouses in Wargaming, CCP, Adult Swim, Dark Horse Comics, and Yacht Club Games. Players will be able to deploy their favourite characters and ships, fighting alongside Super Senso’s resident robots, zombies, and dinosaurs as they battle it out to destroy the enemy SENSO-Gate. LOS ANGELES (December 7, 2017) – Survios, a global leader in virtual reality (VR) development, today announced it’s taking its anticipated adrenaline platformer, Sprint Vector, to the next level of performance and exposure with Intel’s multi-core technology. 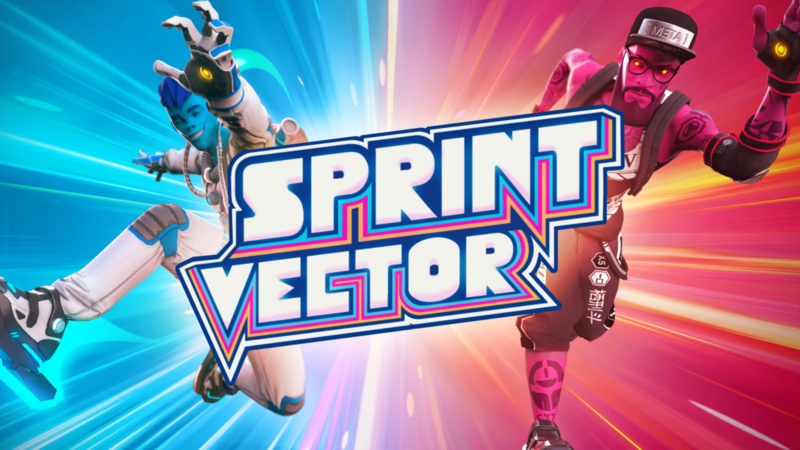 On the heels of Survios’ record-breaking VR title, Raw Data, the new Sprint Vector features innovative high-speed Fluid Locomotion™ mechanics created specifically for competitive play. HOLLY SPRINGS, N.C. – November 7, 2017 – OFM, a leading workplace furniture company, today announced the launch of a new gaming furniture brand, RESPAWN. With decades of experience in ergonomics, OFM created RESPAWN to deliver quality, accessible gaming furniture without sacrificing comfort or performance. The first RESPAWN products to market are a lineup of eight racecar-style PC gaming chairs that are designed to suit a range of gamers’ needs, including a range of adjustable seat depth, tilt, and arms, ergonomic comfort, and a variety of personalized colors and materials selection. More information on the gaming chair lineup from RESPAWN visit: RespawnProducts.com. The chairs are now available for purchase via Amazon, NewEgg, Rakuten and via the official RESPAWN website. SAN FRANCISCO, CA — October 17, 2017 — OVERTURN, the first-person shooter action-puzzle adventure game developed by Studio HG and published by YJM Games, is now available for HTC Vive and Oculus Rift via digital download on Steam at a special launch discount of $26.99 for a limited time. OVERTURN will launch on the Oculus store soon after launch. As survivors of dangerous genetic experimentation in a secret lab deep underground, OVERTURN is a story-driven action title that challenges players to escape from a terrifying new world. Combined with the immense psychic powers of a new companion, MAGI, OVERTURN presents an imaginative adventure with puzzle elements and core gunplay and melee action that will keep players engaged throughout an extensive singleplayer campaign, with a multiplayer mode being added soon after launch. A fellow survivor of the laboratory’s dangerous genetic experiments, MAGI can use her powers to assist the player’s fight against their captors – but can they trust her? SAN FRANCISCO — September 25, 2017 — OVERTURN, the first-person shooter (FPS) action-puzzle adventure game developed for virtual reality, launches October 17 on PC for Vive and Rift, via digital download on Steam and Oculus Store for $29.99. Developed by Studio HG and published by YJM Games, OVERTURN tells the tale of a daring escape of two subjects from a deadly laboratory that engaged in live genetic experimentation, resulting in frightening psychic power. OVERTURN’s adventure combines immersive puzzle elements with tight action gameplay across multiple hours of in-game levels as players unearth the true narrative behind their capture. With the help of a new companion and fellow lab experiment subject, MAGI, players stand a chance to escape – but can they trust her? SANTA MONICA, Calif. – August 21, 2017 – Super League Gaming, the community platform that offers esports competitions, for amateur gamers, today awards Chicago Force the City Champs: League of Legends Season 2 championship trophy. City Champs is the first-ever, national, city-on-city esports competition and features amatuer players competing in League of Legends. Super League expanded the popular City Champs league this season, kicking off Season Two with a roster of 12 city-based amateur teams located across the United States with more than 2,400 qualifying participants. SAN FRANCISCO — August 8, 2017 — Pelfast today announced the North American and European launch of Comet Crash 2: The Kronkoid Wars, the second entry in the Comet Crash series, on PlayStation®4 as a digital download for $14.99. As a hybrid title that mixes classic real-time strategy (RTS) offensive tactics and a top-down perspective with tower-defense gameplay, Comet Crash 2 delivers a new storyline, enemies and bosses, as well as an all-new online multiplayer mode. Defend civilization by collecting resource rocks that fund the expansion of maze-like tower systems, weapon upgrades and massive armies to protect the galaxy and defeat the Kronkoids. SAN FRANCISCO — July 19, 2017 — Comet Crash 2: The Kronkoid Wars, the second entry in the Comet Crash series by developer Pelfast, will be released exclusively for PlayStation®4 on August 8, 2017, as a digital download for $14.99. In this real-time strategy title, players must defend civilization by collecting resource rocks that fund the expansion of maze-like tower systems, weapon upgrades and massive armies to protect their worlds and defeat the Kronkoids. Comet Crash 2 retains what players loved about the award-winning original game, an offensive RTS with tower defense elements, updated with a new storyline, new enemies, big bosses, and an all-new online multiplayer mode.